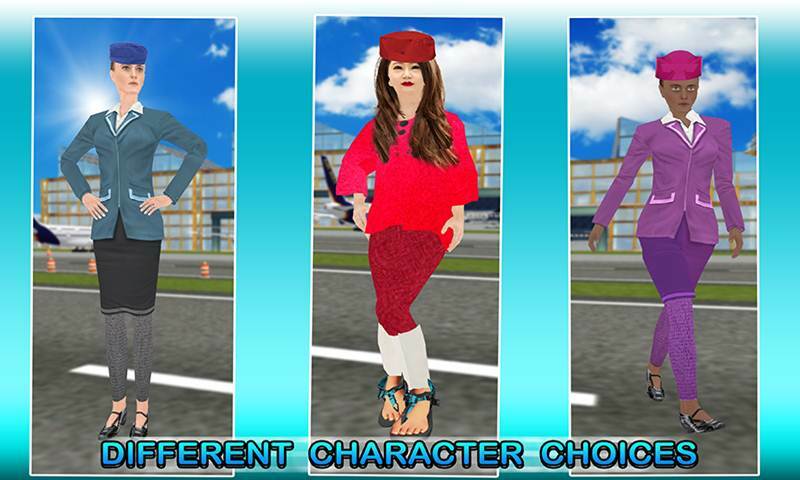 Welcome to the new world of virtual air hostess in World Wide Air-Line’s Air Hostess Simulator. Get ready to be the best airplane flight attendant the sky has ever seen! Dress up in a cute uniform, travel the world and enjoy a fab flight attendant air hostess lifestyle! Welcome to the world of fly fleet. Ready for takeoff? The airplane game adventure starts now with the World Wide Air-Line’s Air Hostess Simulator. Be ready for the brand new game from a series of flight attendant games of 2018. You are the air flight hostess on sky high airline that will fly over different countries like Asia, Africa and America so now it’s your responsibility to help and give services to the passengers on the aeroplane with everything they require from check-in to landing the plane. Prove yourself the best and efficient airhostess in the cabin crew with your services with responsibility. 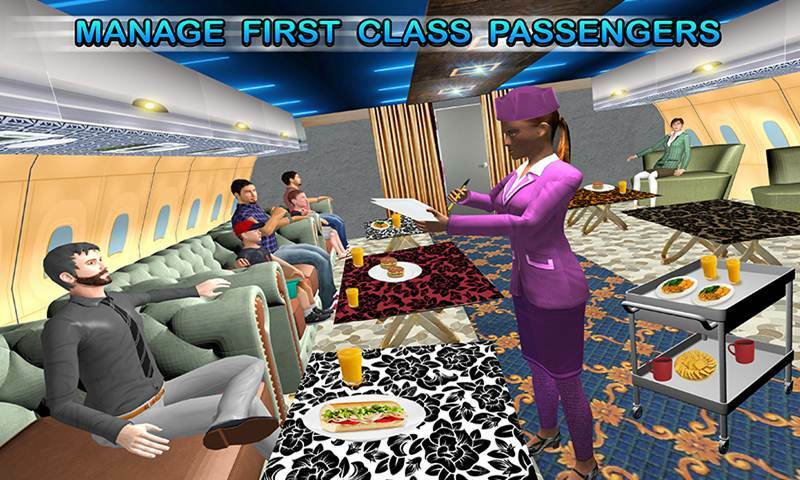 There are multiple unique levels of this game with different Air hostess in all the different flights along with modern airhostess activities that will give you the feelings of expert airline sky girls in this addictive and tremendous game of this year. In the start of the first mission you will need to provide the passengers the instruction to the passengers and as them to buckle their seat belts. And once that is done you will need to inform the pilot that we are good to go in World Wide Air-Line’s Air Hostess Simulator. 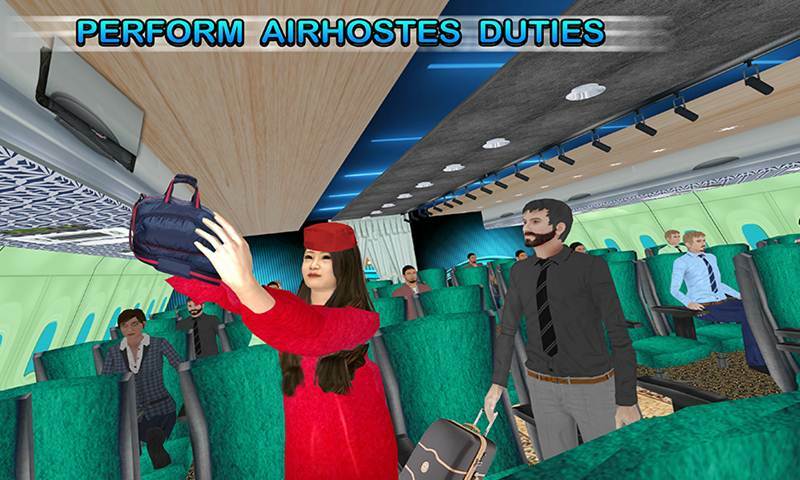 You will need to play as different Air Hostess who will be responsible for serving the passengers on the flight. She will be providing everything needed by the passenger in time. 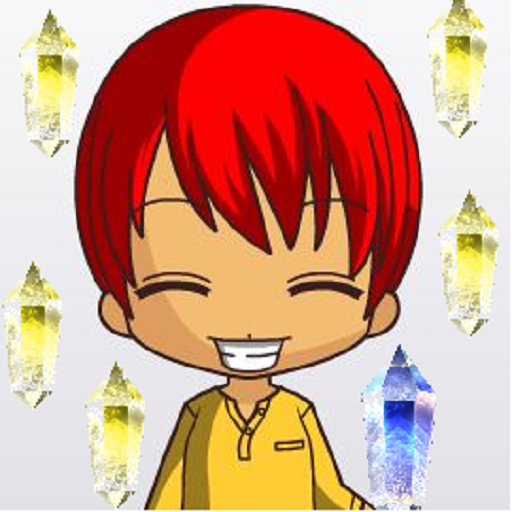 You will be providing food and beverages. You need to maintain calm in the cabin as the plain shakes due to bad weather or storm in World Wide Air-Line’s Air Hostess Simulator. As the Airport Staff and Air hostess you will also be responsible for the needs of the pilot and all the members in the cockpit. You will be providing lunch to them and as well as the coffee to keep them awake and fresh. 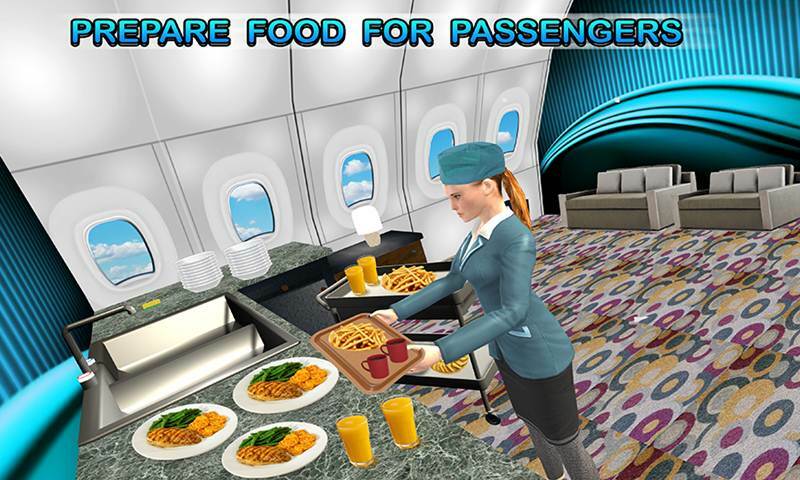 World Wide Air-Line’s Air Hostess Simulator fell the difference between the Virtual Reality and Realistic Graphics. • Real time in flight food serving. 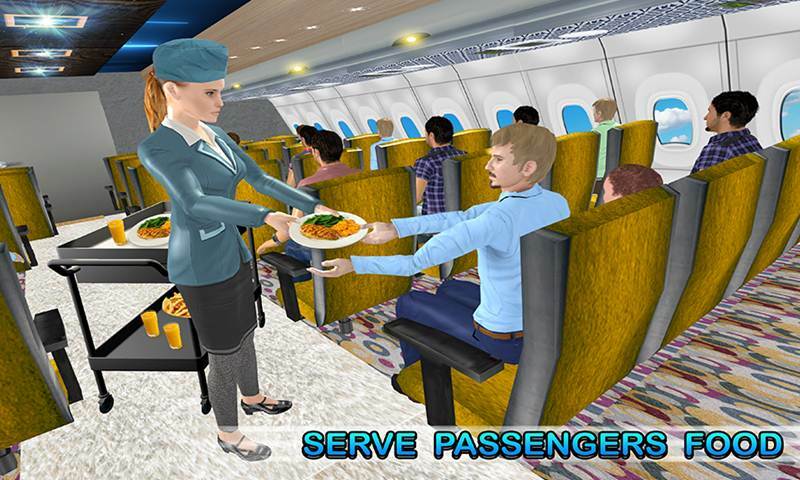 Let’s Download the World Wide Air-Line’s Air Hostess Simulator game 2018 and enjoy this high quality game for free. Get yourself ready for all major duties and activities by makeup makeover with decent hostess uniform in this new free game 2018. Girls who like to be the Air Hostess, this game will be the best thing that will happen to you in decades.